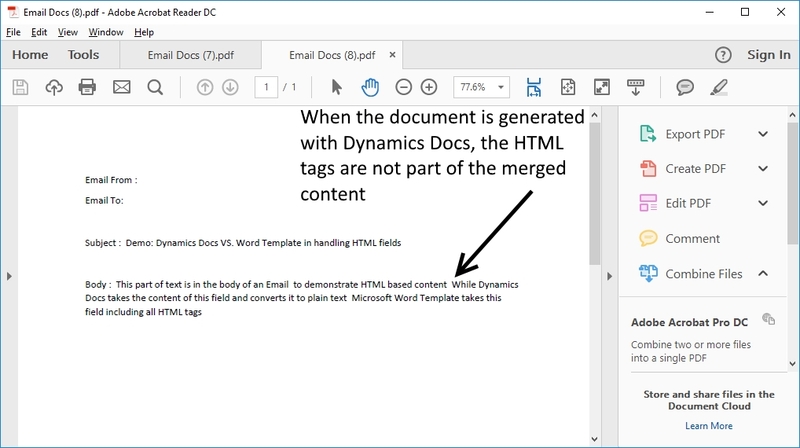 Although Dynamics PDF-Docs (for CRM Word Templates), is the most popular add-on to CRM, to PDF Word Templates and attach them to Emails, we are sometimes asked about features not available with CRM Word Templates, and are available with Dynamics Docs. 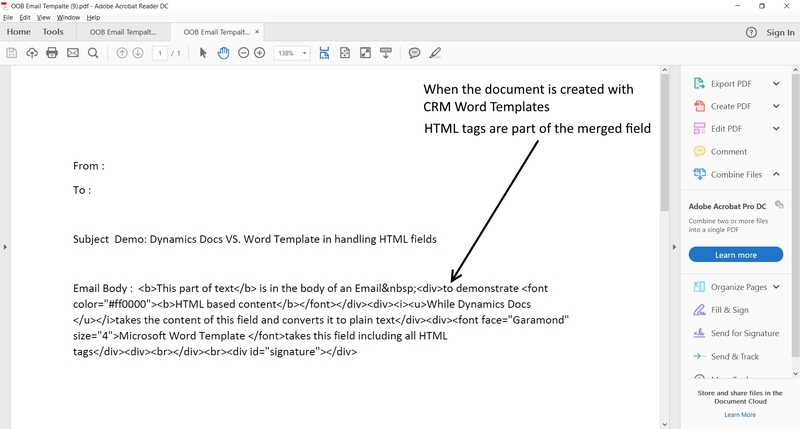 Here is another feature you may need when creating templates to merge fields from CRM records. While the field content is well presented in the CRM user interface, when it is merged with Word document, using CRM Word Template, the HTML tags are part of the content, which is not what we wish to include in a document. 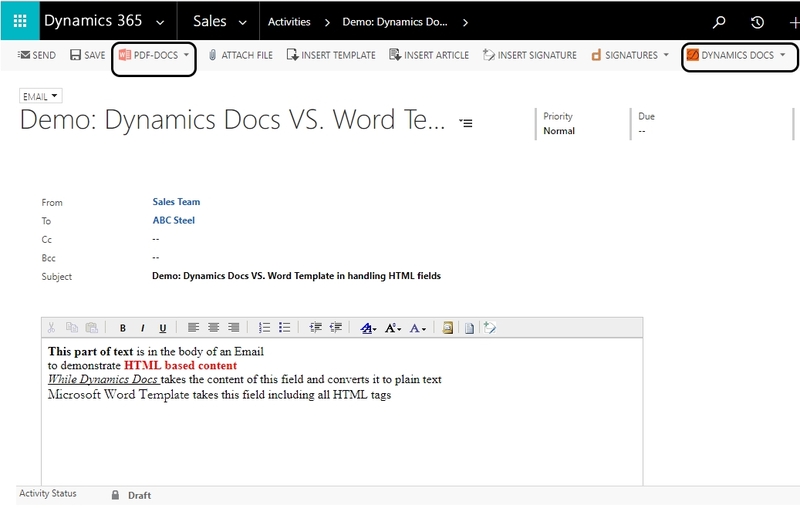 Using Dynamics Docs it convert the HTML content to plain text formatted as the Placeholder formatting. Click here to download Dynamics Docs trial version. The following images explains the issue. For this purpose we are using the body of an Email, which includes build-in HTML editor and can be tested in CRM out-of-the-box. How to overcome CRM “Word Templates” missing features.